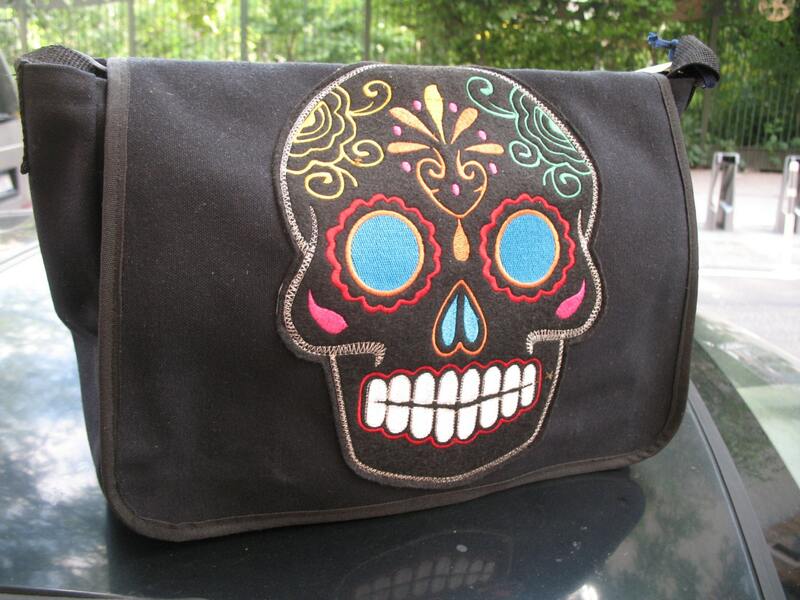 Heavy duty cotton duck canvas courier bag with a multi colored embroidered sugar skull patch by artist Liz Miera. This bag is lightweight and durable in construction. The size of our courier bag is perfect for your books, files, laptops and your days belongings. This bag features a velcro closure, an inside pocket and a large pocket on the exterior under the flap. The adjustable polypro webbing strap lets you wear the bag over your shoulder or across the body, making it perfect for bike riding, hiking or any daily activities.